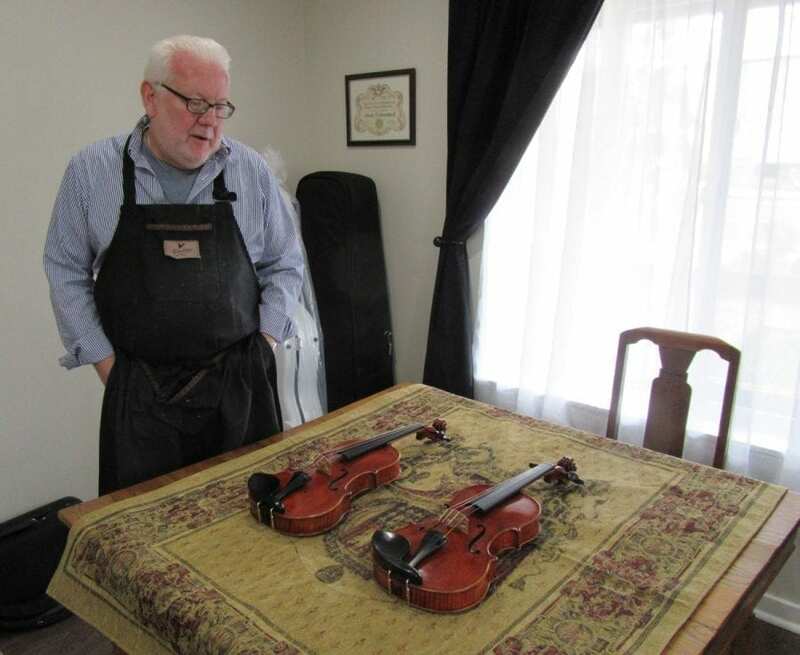 BATTLE GROUND — By the time Mark Moreland was 15, he was playing in four orchestras and dreaming of a career as a professional violinist. Then his father took Moreland and his younger sister on a trip to Europe to look for better instruments for them. The trip caused Moreland to miss half his 10th grade year — and changed the whole course of his life. It wasn’t just an idle dream. After high school, Moreland attended college briefly, spent a summer in Vienna playing in an orchestra under conductors in training at the Vienna Conservatory of Music, then secured an apprenticeship in Portland. He was 19. 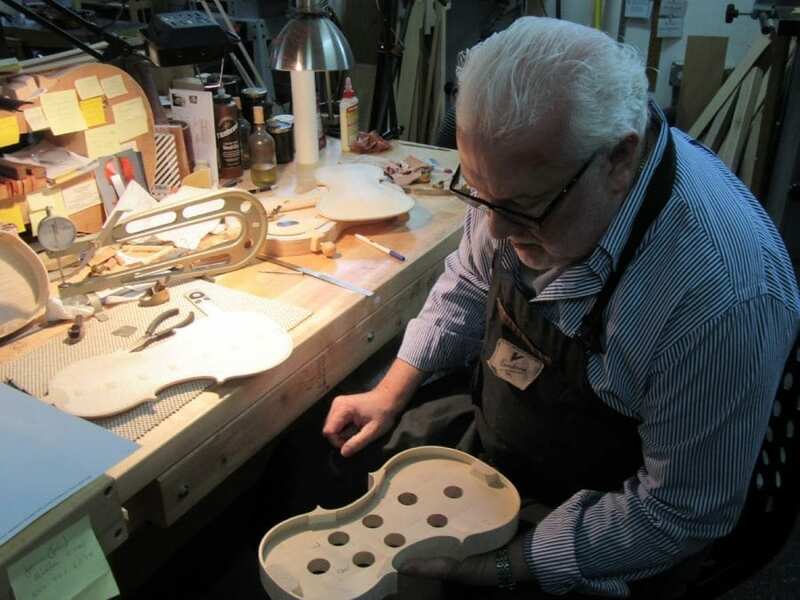 Moreland went on to spend over 20 years at Schuback Violin Shop as both general manager and shop foreman, then worked in violin shops in the Washington, D.C. area and Albuquerque, NM, before returning to the Northwest. He and his wife Sharon spent several years looking for a building in the Portland metro area and along the I-5 corridor before settling on Grace Avenue in Battle Ground in the fall of 2010. He says it’s been a great location. The Morelands co-own and operate the shop, Sharon handling the business end, and Mark, the craft end. But it’s not your typical 9-5 job. Moreland says his favorite part of making an instrument is putting in the purfling, the narrow inlaid decoration around the top plate and often the back plate of a string instrument. His least favorite part? Carving the scroll, the top of the neck of the instrument. Violins, he says, take 65-67 hours to build, and another 20-25 to varnish and set up. It takes him six to eight weeks to build a cello. Materials run $3,500 to $5,000 per instrument, and the shop owns machinery worth $40 thousand. 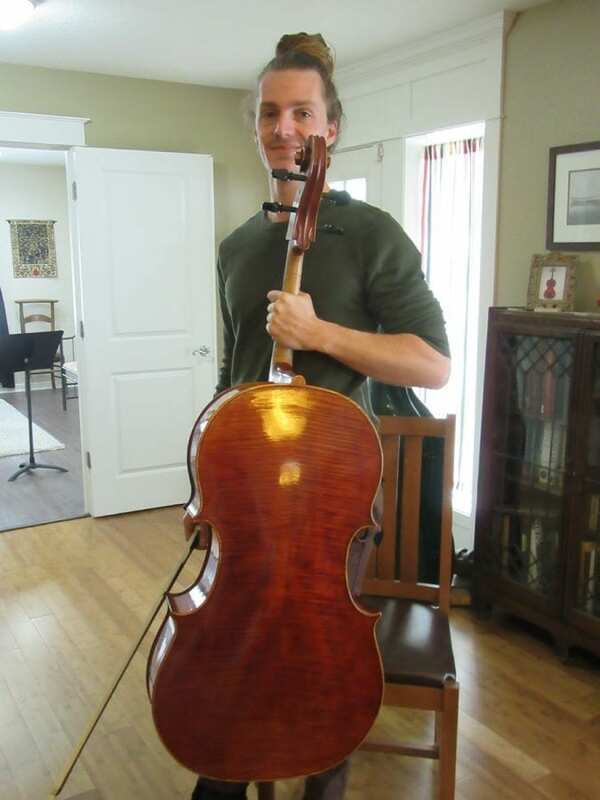 Moreland makes and sells instruments ranging in price from a workshop line — $3,000 for a violin and $9,500 for a cello — to his better instruments which run $20,000 for a violin and $45,000 for a cello. But Moreland loves what he does.